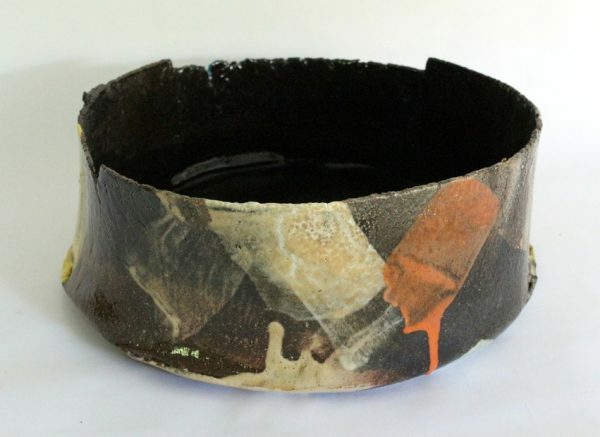 Combined thrown and slabbed, functional work, using a range of slips, oxides and underglaze colours. Max temp 1150 degrees. The current work is breakaway from the previously controlled slab work. Now, throwing and slab work are combined on the wheel or literally by stretching the clay over solid surfaces to create slabs. It is the intervention of other activities and the unexpected which have become the challenge and requires more careful observation of that which happens along the way.